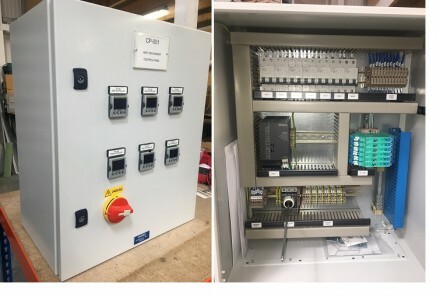 This is a small bespoke control panel made for a new client about to be wrapped and shipped. Craig Hill, our Workshop Supervisor/Panel Technician, has once again ensured a quality product built to satisfy our client's requirements. Don't hesitate to give him a call if you have any control/automation requirements, he has a wealth of experience gained across a wide range of industries. Our team of electrical design engineers have the proven knowledge and capability to turn your ideas and concepts into reality. Our many years of experience in DSEAR/ATEX and Functional Safety ensure our clients’ regulatory compliance. We integrate new systems into existing control strategies. Our Compex trained team is dedicated to installation, testing, inspection and commissioning to the highest standards.